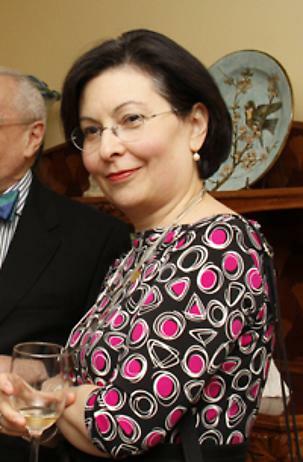 Nina was a great friend to the gallery, who selflessly shared her expertise on innumerable occasions. Her contributions to the scholarship in the work of Tiffany Studios and Louis C. Tiffany have been immeasurable, and she has set the bar for years to come. To us she will always remain the “Tiffany Girl” extraordinaire, our very own Clara Driscoll. She will be missed by all who were fortunate to have known her. To read more about Nina please click here. 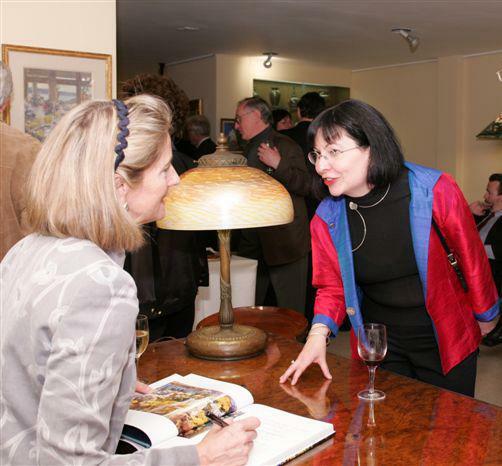 Image at right: Nina Gray at Lillian Nassau LLC for the opening reception of Tiffany Favrile Glass and the Quest of Beauty in March of 2007. 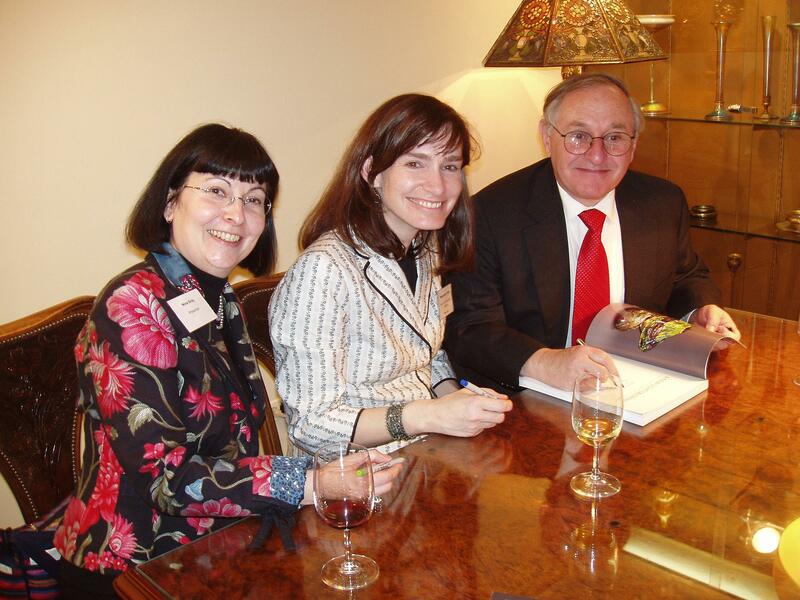 Nina Gray with Nonnie Frelinghuysen at a book signing at Lillian Nassau LLC in Ma7 2007. 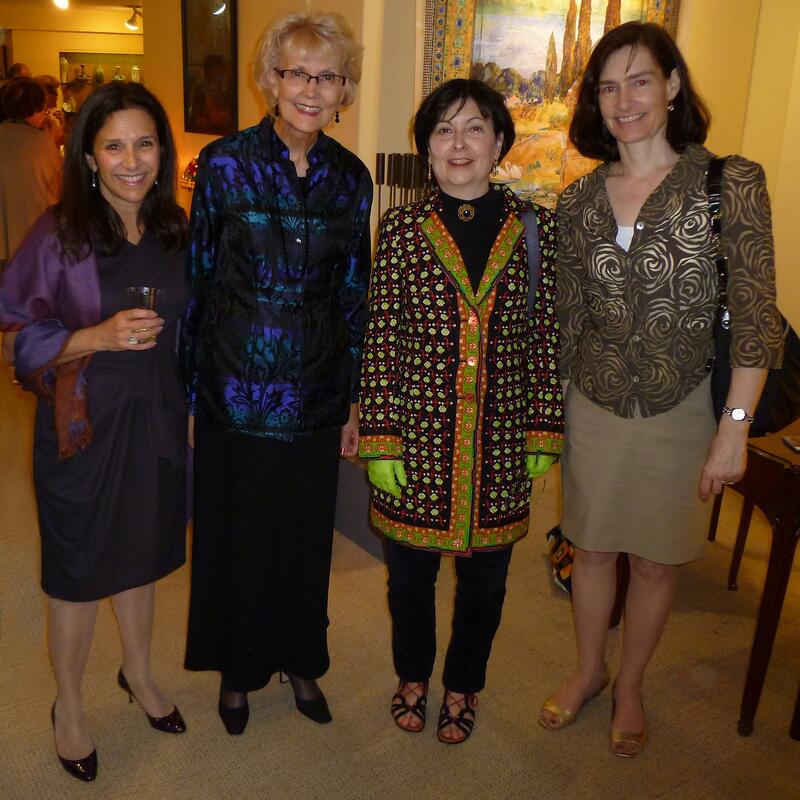 Gallery owner Arlie Sulka and author Susan Vreeland with Nina Gray and Margaret Hofer, two of the three curators of 'A New Light on Tiffany: Clara Driscoll and the Tiffany Girls,' the landmark exhibition which brought Clara Driscoll to light.